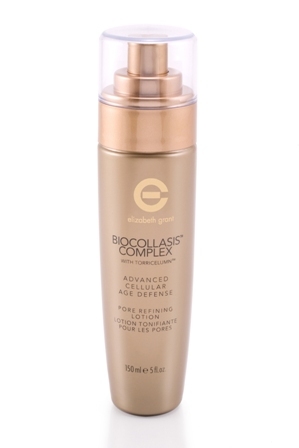 CoolCanucks Blog Contest ~ Eliz­a­beth Grant Biocollasis Complex Advanced Cellular Age Defense Night Cream Review & Giveaway!! Eliz­a­beth Grant Skin Care prod­ucts have found their merry way into the clutches of some of Hollywood’s most pam­pered Diva’s!! As the say­ing goes among Hollywood’s actors: ‘If you’re the cream, you’ll rise to the top”. As many of you already know, — lifestyle, diet, expo­sure to the sun, envi­ron­men­tal tox­ins, hor­mones, stress, and genetic imprint can all lead to pre­ma­ture aging over time. Eliz­a­beth Grant age Defense prod­ucts pro­vide seri­ous solu­tions to help reju­ve­nate your skin while also pro­tect­ing it from fur­ther dam­age. To put your best face for­ward, their proven purest of nat­ural ingre­di­ents nour­ish and feed the struc­ture func­tion of the skin. You can reveal a vis­i­bly younger you in just a short amount of time with a con­sis­tent reg­i­men of Eliz­a­beth Grant’s excep­tional, restora­tive age defense for­mu­las. Their com­pre­hen­sive approach actu­ally sup­ports and enhances the weak­ened infra­struc­ture of your skin while also leav­ing it look­ing and feel­ing soft and sup­ple, all while defend­ing your skin against the vis­i­ble effects of aging. Eliz­a­beth Grant did not always have the flaw­less skin that she has today. Dam­aged dur­ing the Sec­ond World War, her skin was a con­stant source of per­sonal shame and embar­rass­ment — to the point where she avoided going out in pub­lic and liv­ing her life fully. All of that changed in 1948 when Eliz­a­beth dis­cov­ered a nat­ural sub­stance that was used to treat war wounds. She had it spe­cially for­mu­lated with other ingre­di­ents and began apply­ing it to her dam­aged skin. Grad­u­ally, but very notice­ably, the trans­for­ma­tion occurred. Within eight months, Elizabeth’s skin had improved remark­ably. She threw away the dark glasses and droop­ing hats that she wore when­ever she went out in public…and started liv­ing again! On the strength of her mir­a­cle blend, Tor­ricel­umn™, and her own deter­mi­na­tion and per­se­ver­ance, Eliz­a­beth evolved the com­pany from a home-based busi­ness to a multi-million dol­lar global cor­po­ra­tion. 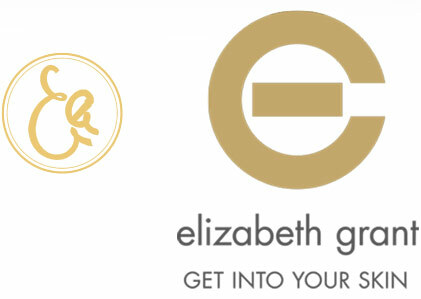 For­merly avail­able by spe­cial order only, the Eliz­a­beth Grant line of skin care and beauty prod­ucts is now avail­able at select retail loca­tions in Canada, United States, United King­dom, Nether­lands, Ger­many, United Arab Emi­rates, South Africa, Aus­tralia, Japan and Poland!! I was really excited when I knew that I would be both review­ing and giv­ing away Eliz­a­beth Grant’s hottest sell­ing age defense night creme called Bio­col­la­sis Com­plex Advanced Cel­lu­lar Age Defense Night Creme! 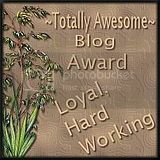 Those who have con­tin­ued to read my blog for the past three years know that I am always in search of the best anti-aging prod­ucts that are just right for me. Being in my early 40’s takes a lot of get­ting used to, con­sid­er­ing it feels like only yes­ter­day since I was 20 and did not have to con­stantly worry about unsightly wrin­kles and crows feet, not to men­tion the other dreaded effects that come with aging! I always try and take care of my body, and that includes keep­ing my skin look­ing young and vibrant. I try and main­tain that youth­ful glow, and don’t have the huge bank account unlike so many famous celebs who rely on painful surgery to keep their skin wrinkle-free. Why pay thou­sands of dol­lars on surgery that may not even work out in your ben­e­fit when you can def­i­nitely rely on the best anti-aging prod­ucts such as those at Eliz­a­beth Grant? In just 1 weeks time of con­tin­u­ous usage of the Bio­col­la­sis Com­plex Advanced Cel­lu­lar Age Defense Night Cream, I can absolutely assure you in com­plete hon­estly that I have noticed a huge dif­fer­ence and reduc­tion of wrin­kles and fine lines on the outer eye area and cheeks! I am hon­estly sold on this prod­uct and will be order­ing much more once this runs empty! I can­not wait to see what my face looks like in one month’s time, how exciting!! “This night cream uses inno­v­a­tive tech­nol­ogy stim­u­lat­ing the sur­face of the skin with a dual per­for­mance action– lift­ing and smooth­ing. Pat 1–3 spat­ula scoops gen­tly all over face and neck every evening after cleans­ing and apply­ing Bio­col­la­sis™ Com­plex Night Serum. Avoid the eye area. • Tor­ricel­umn™ – Eliz­a­beth Grant’s supe­rior mois­tur­iz­ing com­pound. • 20 nat­ural extracts, vit­a­mins and enzymes to help repair the skin from the dam­ag­ing effects of pol­lu­tion. • Pep­tides – help recre­ate con­di­tions con­ducive to skin repair, cell and matrix turnover. I just know that you will love these anti-aging creams as well, they hon­estly beat any other that I have tried! 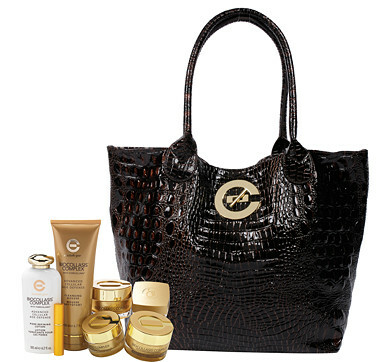 I give Eliz­a­beth Grant a huge thumbs up, and rec­om­mend these won­der­ful skin­care prod­ucts to everyone!! Win It!! Enter my sweep­stakes give­away below for a chance to win a jar of Eliz­a­beth Grant Bio­col­la­sis Com­plex Advanced Cel­lu­lar Age Defense Night Cream! Open to Cana­dian residents. Launched in 2001, Shielo Hair Tech­nol­ogy & Care was cre­ated in New York City. 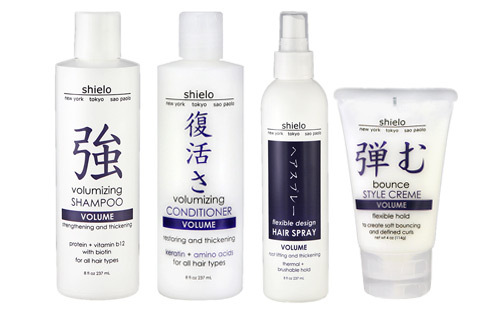 Shielo is a com­pany that prides them­selves in pro­vid­ing supe­rior prod­ucts for all hair types. Most of their prod­ucts are hair care and styling prod­ucts, although they do offer won­der­ful skin­care prod­ucts as well. 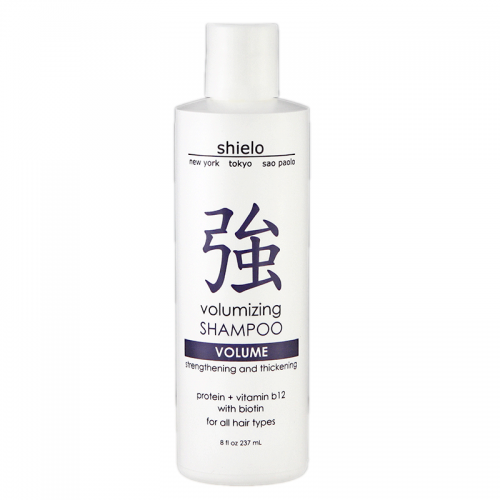 For those of you that have thin, life­less hair, this Shielo Volu­miz­ing Sham­poo can and will cer­tainly work won­ders and make your hair thicker, shinier, and much more manageable! I was sent the Shielo Volu­miz­ing Sham­poo to review and I really like it! The sham­poo is for­mu­lated with Biotin (from b-complex vit­a­mins) and pro­tein, to pro­vide the vol­ume we all want. The con­di­tioner is made with ker­atin amino acids, soy pro­tein, acai berry and UV pro­tec­tants to ensure thicker hair, pro­tected from the ele­ments so your colour lasts longer and looks fantastic. All of their prod­ucts are vegan and nat­ural based, and these ingre­di­ents nour­ish the scalp and hair fol­li­cles and may help reduce hair loss. And as an added bonus, they are all cru­elty free! Shielo is against ani­mal cru­elty and proud to use post-consumer recy­cled and recy­clable pack­ag­ing. Their phi­los­o­phy is to cre­ate prod­ucts with integrity and ensure that they pre­serve the future well-being of the environment. All of their prod­ucts are con­cen­trated, never diluted with water, so every item you pur­chase will last a long time! Their naturally-based for­mu­las are infused with organic botan­i­cals har­vested from plants grown with­out the use of syn­thetic pes­ti­cides or chemicals. I give a huge Kudos to this com­pany, and rec­om­mend that every­one try out the Shielo Brand for themselves! Now 1 very lucky Cool­Canucks read­ers have the chance to win a full size bot­tle of Volu­miz­ing Sham­poo thanks to the very kind and gen­er­ous folks over at Shielo! SWEET!! 1) Head on over to Shielo and let me know some­thing that you have learned about this com­pany, and then please leave a com­ment here! Fol­low @coolcanucks and @ShieloHair on Twit­ter! Leave me your twit­ter name! “Like” Shielo on Face­book! 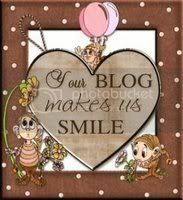 & Leave a com­ment on their wall that you came from Cool­Canucks!! 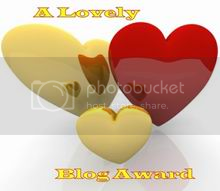 2 entries, leave 2 com­ments! Leave me your FB name please! 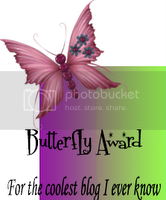 Pur­chase from Shielo for the dura­tion of the give­away and get 10 extra entries!! Just tell me in a comment! A HUGE thank you to Shielo for spon­sor­ing us with this GREAT Con­test here at CoolCanucks! !